Ansa2 ("answer to") is writer/producer Paul Harding, plus friends. Many years ago, Paul used to DJ in nightclubs, and play in secular bands. Now, Paul makes music to a very different beat! 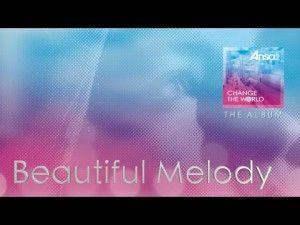 In 2016, Paul, a Lay Pastor at King’s Church International (KCI), Windsor, UK, had a clear call from God to write songs that communicate the truths, the promises, and the hope that can be heard every Sunday morning in church. The next day, he sat at the piano, and began to compose music and write songs... Ansa2 was born! Now, we are proud to release the debut Ansa2 recording, titled "Change the World"... an album all about discovering your destiny! When you ask 'how did your music project come about?' in an interview you can get a whole range of different answers. Often artists will talk about a love of music, inspiration from their childhood or wanting to make a difference. Of course all of these are valid, but it's hard to get past one solid answer, one that you might get from the man behind the Ansa2 project, this was a specific call from God to write songs that communicate truths, promises and hope that we hear in church on Sundays. When you get a call like that you want to find a way to respond to it, it's a burden that doesn't leave you. So the very next day Paul sat at his Piano and started to compose music and write songs with no idea how this project might work. That was back in 2016, jump to 2017, frustrated by the lack of progress with the project, not to mention the lack of funds, Paul gets made redundant from his day job in IT. Some people would see this as a major blow, but for Paul it was the freedom and the finance needed to make this project finally happen. Paul has worked with worship leaders from his church where he is a Lay Pastor to bring this project to life. From the start this is a worship album which opens with the track "No Limit" with vocals from Massimo Bottaro. The sound of this whole track is a soft-edged EDM that is very catchy. The words themselves are all about the dedication to keep our lives in step with what God is doing and looking to see Him do amazing things in, through and around us. Another track later in the album from Massimo is "Just Trust" which is a song of hope that God is working things out, even in the hardest times. This is a song that reminds us that our victory will come and we just need to trust and remain faithful remembering that God is walking beside us through the current situation. The vocalist who has the most input to this album is Nadia Bramley. The first song she brings her voice too is "Chosen By You". She has a great vocal which reminds me of some of the Gospel girl bands from the 90's like Out Of Eden. This track is about being chosen by God to be His messengers for his love, pouring it out to others because it is poured out on us. A little later there are a couple of tracks in a row with vocals from Nadia Bramley, the first of these is the closest to the title track called "We Can Change The World". This is quite an intimate song with a more acoustic feel compared to the dance infused tracks that have before it on the album. This track is about the way that God works gently in our lives even when we don't see it and the words reaffirm a commitment to allow God to continue to work in us. The upshot is confidence that God can change the world using the way that He has changed us. "7 Times 7" is a worship track that really concentrates on praising Jesus as the "Perfect King Of Heaven". Nadia's vocals also turn up on other tracks on this album bringing a playful vocal to "Beautiful Melody" which also features a rap from Oola "Double O" Opiyo as well. She is also the vocalist on "A Love Like This" which is such a beautiful and gentle track with some rich worshipful lyrics about the love of God which starts with freedom found at the foot of the cross. The last track on the album also features Nadia. "I Can't Take It In" is about the fact that the "Creator of all things, is mindful of me", this is a song of wonder about how God actually feels about us and a great way to round out the album. 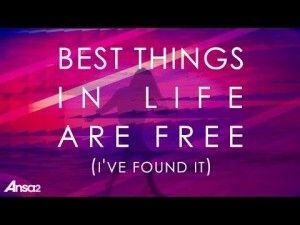 The first single from the album which has recently been released is "Best Things In Life Are Free (I've Found It)" which is a track with an infectious sound which, if you are given to dancing, then this will definitely have you on your feet. The vocals on this track are provided by Jon Stevens and Lucinda Makawa. This song is about the joy of knowing God in this life, that we can have a glimpse of heaven, but we need to refocus from this life and the events going on around us and move our focus to what God is doing. "The Pledge" is a song of dedication brought to life by Linnea Healey, it's a song where the focus is on the lyrics, it's one that you want to learn the lyrics to and sing with closed eyes and clenched fists, unless of course you are listening to it whilst driving. What is important about this track is that it talks about what we are going to do, but it also makes it very clear that this dedication is only something that we can do with God's love and power. Linnea also sings with Nadia on the track "Electric Hymn". The title doesn't really give much away about the content of the song, but this is all about bringing a chorus of praise and worship to God. This album has a fresh feel to it with plenty of fresh beats. In the past I have found that some albums that try and blend dance with worship can sometimes concentrate too much on the style and not enough on the actual worship and it becomes quite vacuous. I am very pleased to say that this is not the case here, even in the most upbeat of the tracks there is thought and depth in the lyrics. Paul hasn't been afraid to mix things up with the slower and more intimate tracks on this album that are also very strong. There is even a very contemplative simple chorus on this album which I haven't mentioned so far called "How He Loves Me (Selah)" featuring Lyndsey Harding. This takes a few lines and builds it into a great little singable chorus but, importantly, it doesn't overstay it's welcome lasting just over 1 and a half minutes. I have enjoyed this album, it's given me something that feels different to listen to, and as a music reviewer in a niche market that isn't always easy. If you haven't picked up this album yet then have a listen to the video of "Best Things In Life Are Free (I've Found It)" and know that no other track on this album is quite the same, but all are written and produced with the same amount of quality!